Each year when the New Year rolls over, we all begin to think of New Year’s resolutions and how we want to improve our lives from the previous year. We start to set goals for our future to improve certain aspects of our lives whether it is health, personal hardships, or financial difficulties. We sometimes take a step back and realize life did not take us down the path we were expecting to be on and instead of sitting back and relaxing on a beach somewhere we are stuck with piling personal debts from student loans, credit cards, home foreclosure and are now feeling the sting of bankruptcy. Making the first steps after bankruptcy can sound difficult but you can and will bounce back from it and below are some tips on how to get started. When hearing the word “Bankruptcy” we instantly are given such a negative image of this situation. Growing up, we are taught what obligations and responsibilities we have and as adults, we pay our bills no matter the circumstance. Unfortunately, life is never that simple and the honest truth is that it is not always possible to repay all of our debts even when trying our best to do so. If thinking that bankruptcy is your only answer, you are not alone. The fastest growing group of bankruptcy filers is people older in life. A study done in May 2011 by University of Michigan Law School found that 1 in 8 adults in the U.S. which is about 13% of general population have thought about filing for bankruptcy. Even when people know that bankruptcy is a common practice, people still can’t help but feel guilt and disappointment when filing. The best advice is to turn those negative emotions into a more purposeful thought and think of bankruptcy as a learning experience. Truly take the time and look at what you could have done differently to prevent this situation from occurring. The next step is to accept your failure and free yourself by forgiving your mistakes and start to move on. Studies done by AARP’s Public Policy Institute shows a record amount of homeowners above the age of 50 that went through foreclosure or at least 90 days or more overdue on house payments from 2007 through 2001. One of the biggest issues after losing your home is a good chance you have probably drained most of your savings as well. Some people may never want to own a home again and are content just renting the rest of their life but one way to bounce back from foreclosure is to start rebuilding your savings account or rainy day funds. These accounts typically have $500- $2000 saved in them. The reason of having this type of account is to help deal with emergency or unexpected expenses like a car or home repair that suddenly needs attention. Without this type of savings, you would be forced to use payment options like credit cards to pay everyday expenses that will in turn make you overuse them and hurt credit even further. An Emergency fund differs from a rainy day mainly by being a larger amount saved in a separate account. This account should accumulate anywhere between $3,000 and $10,000 or above if can afford it. The reason for this larger amount saved is for this fund to assist you longer term if something should occur in a personal dilemma such as losing your job or medical issues arise for example. An emergency fund can also help you in a financial disaster such as a bad business investment or loaning money to a family member that never got repaid. These funds should have enough money saved to be able to keep you afloat for 3 to 6 months by paying all your current bills in that time frame. Of course it will take time and energy to make a savings such as this but is a important goal to have in mind. Investment mistakes whether it is watching your 401(k) change drastically or you invest in a friends/ family’s business that doesn’t make it will always take a toll on your confidence. If you are uncertain and nervous on how to manage your assets, it may be best to consult with someone who specializes in this field like a financial planner. A professional can help evaluate your needs and develop a plan to guide you through your financial plan and set new goals after a setback has occurred. Divorce’s can be very draining on an emotional standpoint as well as financially. Once the worst part is over, you can start to move on from this set back as well. To start fresh from a financial view, you will first need to reestablish your credit in your own name. You can find where you stand credit wise by obtaining a credit report from three of the credit bureaus- Equifax, Experian and TransUnion. Secondly, it is best to get rid of any joint credit accounts with previous spouse and be sure to pay all new bills on time to sustain your credit rating. Some people may not have very much credit in their own names so it may be a good idea to look into a secured credit card. These types of cards need to be paid cash up front for the credit line. It can be somewhat surprisingly how quickly after filing bankruptcy an bank will allow regular unsecured credit cards mainly because lenders know that a user can not file for bankruptcy protection again for several years. Bohikian Law Group specializes in bankruptcy services including chapter 7 and 13 bankruptcy. More information can be found at https://bohikianlaw.com. The prospect of declaring bankruptcy is frightening. Not feeling like you are in complete control over your finances can make you feel like a failure. When you are in a situation in which you are contemplating the pros and cons of bankruptcy it is important to note that you are in complete control. Bankruptcy allows individuals to regain control over their finances. It gives you the ability to start over from scratch. There is no need to live in debilitating debt any longer. Are you only making minimum payments on your credit card? Do bill collectors call you regularly? When you are paying bills or sorting through your finances, do you feel anxious? Are you paying for necessities with credit cards? 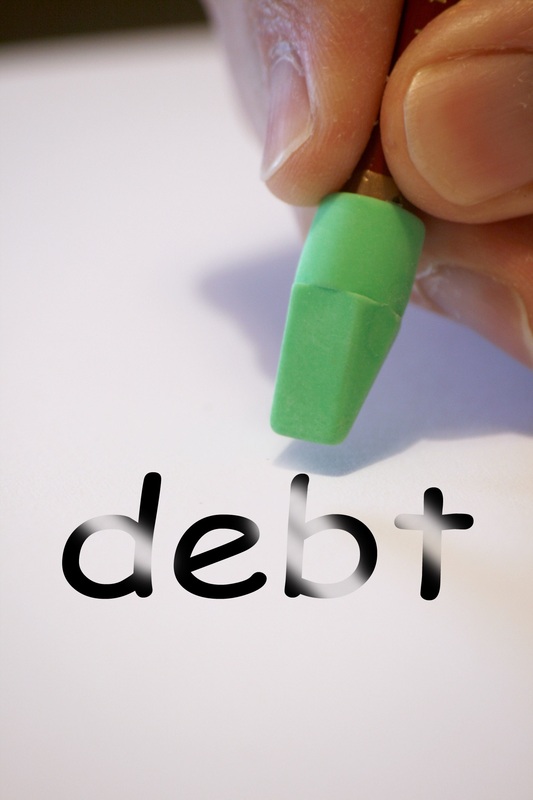 Have you considered debt consolidation? Do you have any idea to how much you owe? Answering yes to two or more of these questions is a sure sign you should give your financial status a bit more thought. Bankruptcy is a situation where relief is offered when you owe more than you can afford to pay. It is important first to review your liquid assets. This includes checking and savings accounts, retirement funds, stocks, bonds, real estate, college savings accounts, and other bank and non-bank assets. A rough estimate will do. The next step is to create a list of your debts including all credit cards, car payments, monthly bills, house payments, and such. Declaring bankruptcy is an option out of a tricky financial situation when your assets are less than your debt. There are two ways in which an individual can declare bankruptcy. The most common method is to voluntary file. The second is for creditors to ask the court to order an individual bankrupt. For the best outcome and restart to your financial future consulting with a bankruptcy lawyer is important. An attorney specializing in bankruptcy can determine the best option for your individual circumstances. Chapter 7 bankruptcy is the most common option for individuals when filing bankruptcy. Some of the most common reasons that individuals are forced into bankruptcy include unemployment, medical expenses, overextended credit, and divorce. Chapter 7 bankruptcy is a straightforward option to settle debts. In this type of bankruptcy any assets you may have that are considered above and beyond necessary will be liquidated. The cash from these assets will be liquidated and distributed to your creditors. Four months later a discharge will be received. The bankruptcy will stay on your financial record for the next ten years. This doesn’t have to mean your financial life is over. Even with a bankruptcy on your record you can begin to rebuild your credit. Chapter 7 offers a fresh start to individuals quicker than other bankruptcy options such as Chapter 13. If you are experiencing financial hardship take time to schedule a free consultation with Bohikian Law Group. How to Recover After Declaring Bankruptcy? Some of the most responsible people find themselves in financial trouble. At times these issues becomes so bad that there is simply no way they can get out from under them. One solution for individuals that find themselves in such a situation is to file bankruptcy. Filing for bankruptcy is known to take a toll on individuals both emotionally and financially. It takes years after filing for bankruptcy for you to rebuild your credit profile. It is estimated that in 2017 there were upwards of 750,000 bankruptcy filings, not including businesses. Bankruptcy is a legal action that individuals or businesses can take in order to dismiss a portion or all of an accumulated debt. It is important to note that this is not done without meeting certain criteria and without consequence. There are advantages and disadvantages to the bankruptcy process. It is important to understand bankruptcy, how it can impact your financial future, and just how you can survive and thrive after. Bankruptcy is a legal process that is used to eliminate or lessen the debts that individuals and businesses are responsible for paying. Due to the complexity of the process it is important that a bankruptcy attorney is hired. Each bankruptcy is unique and will be evaluated as such. Courts need to determine what the financial burden is and the ability the individual or business has to pay it. Hiring a bankruptcy lawyer is crucial because of the ramifications it has on your credit, getting new loans, and new credit. Bankruptcy is not always a good idea however, for many it can be the only way to achieve financial stability. Bankruptcy can relieve you from a portion of or all of your debt. If only a partial portion of your debt is relieved the bankruptcy court will assign a repayment budget for the remaining debt. Once you have started the bankruptcy proceedings foreclosure on your home, repossession of your car, wage garnishments, utility shut offs, and so forth will cease. Creditors and collection agencies will no longer be allowed to call you without a fine. Each bankruptcy case is unique and requires a one on one evaluation. Some debts are commonly reduced or dismissed such as credit cards, medical bills, past utility bills, and even sometimes rent. Others, however, are rarely dismissed through bankruptcy including child support, alimony, taxes, and student loans. If you are no longer required to pay on your car there is a high probability that it will be repossessed. Once the bankruptcy process has been concluded it is time to get back on the saddle. Let’s face it, we all need credit at one point or another. Using credit and credit history is how many people buy homes, cars, and larger purchases. Bankruptcy will impact your credit and have a negative effect on your credit report. You will not be able to get a loan or credit for a while after bankruptcy. When you do start to accumulate credit again you should expect to pay higher interest rates, increased security deposits, and larger down payments. When accumulating new credit after bankruptcy it is important to stay within your budget, pay your bills on times, and avoid accumulating debt. Filing for bankruptcy is not a decision that should be made without a lot of thought. If you think you have no way out of your debt it is best to meet with a bankruptcy attorney for a free consultation to determine the pros and cons of this action in regards to your unique situation. You have hit the point where there is nothing else you can do, bankruptcy is the only way out of the financial avalanche that is weighing you down. You tried cutting back, you sold what you could, you have been working day in and day, and still find that you are not making a dent in your debt let alone continue to live a feasible lifestyle. It is a conclusion that no one wants to get to because it comes with the stigmatism of failure. The shame that comes with filing bankruptcy maybe real to you, it may be what you are feeling and experiencing however, you should know that there is no disgrace in finally deciding that you need help. This help can make all the difference in your future. A future that your past self wasn’t considering when mismanaging income vs debt. Filing for bankruptcy can be quite confusing. It is a very serious legal matter that should only be done with proper representation from a bankruptcy attorney. Here are some things to take into consideration as you take the first steps towards financial freedom. Bankruptcy is a legal proceeding that puts you in front of a judge where you explain that you can no longer financially afford to pay your debts. The judge will work with trustees to look into your assets and liabilities to decide if the debt should be discharged or there are means to repay a portion or all of it. If the court concludes that you cannot payback these debts, they will declare you bankrupt. Once you have filed the paperwork for bankruptcy, all creditors receive notice that they can no longer take steps to collect money from you. Creditors will no longer be allowed to call, write, or take legal action of their own against you once the bankruptcy process has begun. There are many types of bankruptcy that can be filed both consumer and commercial. The most common consumer bankruptcies files are Chapter 13 and Chapter 7. In chapter 13 bankruptcy the court will approve a plan for you to repay some or all of your debt over the span of three to five years. You will keep all of your assets and follow a strict timeline and monthly payment schedule set forth by the court. In chapter 7 bankruptcy the court will decide what reasonable assets are vs “luxury” items. Things will be sold to pay off debt if they are deemed over and above what is reasonable. Once you have paid back as much as is thought to be reasonable the remaining unpaid debt will be erased. Believe it or not there are some things that you should not do before you file for Chapter 7 and 13 bankruptcy. Finding debt relief in bankruptcy is not as simple as filing a few pieces of paper, appearing before a federal judge and whoosh all of your bills are gone. There are a lot of considerations that go into the act of declaring bankruptcy and seeking relief from your debt. One of the first steps to take when considering the different options available to you is to determine your totally debt. When you are in a situation where you are experiencing stress financially, it may be tempting to do whatever you can to free yourself from that pressure. However, bankruptcy discharge is a very serious, legal action therefore it is crucial that you understand what is going to happen before, during, and after bankruptcy. Bankruptcy is a federally governed method of debt elimination. There are limitations on how often you can file for bankruptcy. Chapter 7 bankruptcy discharge is something that can only be done once every eight years. Chapter 13 bankruptcy discharge is something that can only be done once every six years. If you are considering bankruptcy due to medical debt but are still experiencing severe health issues it is probably important to wait until your health has stabilized before filing. The last thing you want to do is to find yourself accumulating more and more debt after you have already discharged your initial debt. There are a number of problems that crop up when bankruptcy comes into view like unemployment, foreclosure, eviction, and car repossession. It is important to file bankruptcy at a point when you know you are going to be able to get back on your feet once a discharge is granted. The last thing you want is to have your debt cleared only to find yourself swimming in debt a year later when no relief can be given. There are times however that bankruptcy can’t wait and that it is in your best interest to file for bankruptcy right away. If a wage garnishing is in place, it is important to file sooner rather than later so that you have more money to pay bills. Filing for bankruptcy in a timely manner is also important if a creditor has a lawsuit against you. Your bankruptcy attorney will want to make sure to look at the complaint to see if it includes any allegations of fraud. If it does, the matter will go into judgment and you likely won’t be able to wipe out this debt in bankruptcy. A creditor that has won money in a judgement against you, the lien that accompanies it allows the creditor to take wages directly from your check, attach to your bank accounts, repo cars, and foreclose on your home in an effort to reclaim the money that is owed. If you file for and receive a bankruptcy discharge before the creditor wins a case against you, filing bankruptcy will stop the lawsuit in its track and wipe out that debt as well. Retirement funds are protected from bankruptcy. It is important not to withdrawal funds from your retirement accounts in order to pay off debts. Before taking money from any type of account that is labeled for retirement speak with a bankruptcy lawyer to figure out the best option for you. Most often you will find that your attorney will recommend that you do not deplete your accounts to better your financial situation. It is crucial to be completely open when it comes to your bankruptcy paperwork. You are required to provide accurate information on your paperwork including your assets, debt, income, expenses, and financial history. Misrepresenting information could lead to penalty of perjury. Any debt that is incurred seventy to ninety days before filing bankruptcy paperwork, unless it is a necessity, a creditor may object. Debt within this time frame may be considered fraudulent. As a rule, don’t take out cash advances or use credit cards to buy luxury items. It is also critical that you don’t try to hide or move assets for safekeeping before filing for bankruptcy. If you have sold property to pay for expenses before declaring bankruptcy it will be important to document the way in which you spent the money to pay for necessities. As with any legal procedure it is important that the rules are followed to prevent any sort of confusion when it comes to discharging your debt. Bohikian Law Group specializes in bankruptcy services including chapter 7 and 13 bankruptcy. More information can be found at http://bohikianlaw.com. What Can You Expect from Your Bankruptcy Attorney? One of the ways that people get out from under an oppressive debt is through filing for chapter 7 or chapter 13 bankruptcy. 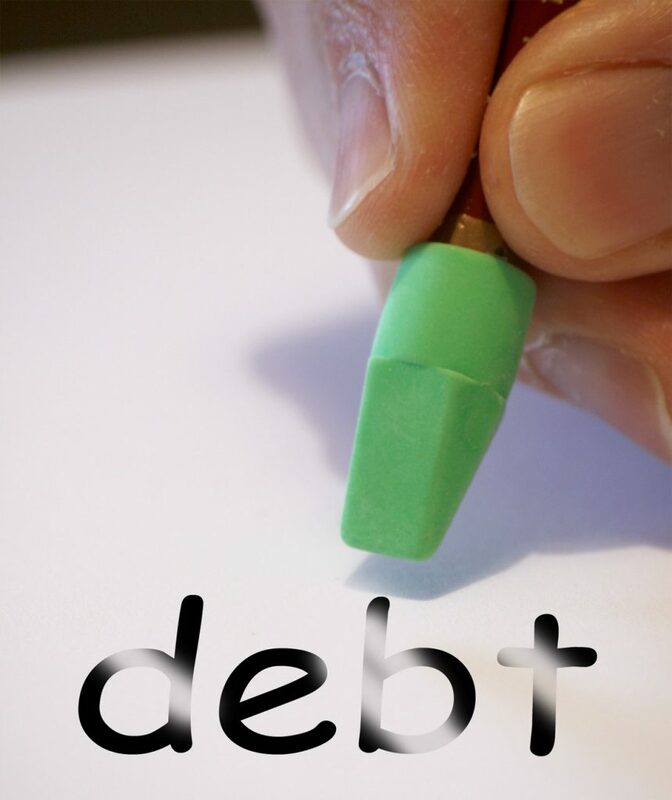 Having debt discharged through bankruptcy can offer many people a great sense of relief. The process itself however can be quite daunting without hiring a proper bankruptcy lawyer helping your through the process and forms. When you are seeking an attorney’s assistance with the bankruptcy it is important to find one that offers you: competence, sound legal advice, preparedness, and representation. Once you have established a relationship with a bankruptcy attorney a contract will be signed to specific the working agreement between you and your lawyer. This agreement will state what services you should expect that they will provide vs what you are to provide for yourself. The first thing that your attorney will discuss with you is whether it is in your best interest to file for chapter 7, chapter 13, or another option. This decision is based on what makes the most sense for you to achieve your financial goals. Your attorney should also brief you on what you can expect throughout the bankruptcy process along with the difficulties of your unique case. Your attorney is in charge of making sure all of the paperwork that you need is filed and properly and within the timeline provided for your case. You are required to disclose proper financial information to your attorney including: income, expenses, assets, and information pertaining to your debt. Once this information has been received it will be processed and the two of you will review the information before it is filed. Because of the serious nature of the consequences it is critical that the bankruptcy attorney you hire is diligent with paperwork and following required deadlines. When you are considering bankruptcy as an option to relieve your financial burdens the last thing you want to be worrying about is how much it is going to cost to hire an attorney and file the necessary paperwork. After all, money is tight which is the reason you are contemplating this option in the first place. In this installment we will discuss the fees involved with filing, hiring an attorney, and additional fees you may encounter. There are many bankruptcy options to choose from but the most popular being Chapter 7 and Chapter 13. The filing fee for Chapter 7 is $335 and for Chapter 13 is $310. There may also be a fee charged by the Bankruptcy Trustee which can range between $15 and $20 dollars. Another fee you may need to cover is the cost for mandatory credit counseling and financial management classes. These classes can cost upwards of $100 depending on where you are filing for bankruptcy and the options that are available. Many people will unsuccessfully file for bankruptcy without the help of an attorney. Paperwork often is incorrectly filed, the steps necessary are not taken, and many other hiccups plague individuals filing “pro se”, (without the help of an attorney). The truth is that filing for bankruptcy successfully most often requires the help of a bankruptcy attorney. Bankruptcy attorneys are responsible for setting their own fees. On average bankruptcy attorneys charge $1,250 for their services. This fee varies depending on where you are filing, the complexity of your litigation, your attorneys experience and reputation. The fees for filing Chapter 7 bankruptcy are often less than those found in filing for Chapter 13. This is most likely due to the extra services that go into filing Chapter 13 such as setting up a repayment schedule and executing automatic payments. This fee may seem like a lot at the moment. It is to be assumed that your filing bankruptcy because you are lacking the ability to pay the debt. When you take into consideration the average debt that is written off in bankruptcy is $15,000 that fee seems relatively reasonable as it takes a large debt down to pennies on the dollar. Filing for bankruptcy isn’t an option that is easy for individuals to make. It is one that should be made only after much research and contemplation. Have you ever been overwhelmed by debt? Have you ever considered if bankruptcy was the next step in your financial recovery? There are numerous advantages and disadvantages that come with filing for bankruptcy. We will look into common myths that surround bankruptcy and when it may be the best option for you. Bankruptcy is an arrangement in federal law that allows individuals and businesses to get a reprieve from their debts and to get a fresh financial beginning. This system allows honest individuals who have fallen on hard times to get on with their lives without the harassment that comes from creditors. There are two common categories within bankruptcy law that can be declared: chapter 7 bankruptcy and chapter 13 bankruptcy. In the most basic terms chapter 7 bankruptcy liquidates non-exempt assets and the proceeds are used to pay off creditors. This is a solid option when there is a large amount of unsecured debt to be covered by a small income. Chapter 13 bankruptcy helps individuals and businesses to reorganize and adjust their debts while using a repayment plan to cover the outstanding debt. This is a good option for those debtors that have an income and want to avoid foreclosure and catch up on outstanding bills. A major advantage of filing for bankruptcy is that creditors are on notice to stop trying to collect outstanding debts from you. This means that they no longer can call you, send you letters, file lawsuits, garnish wages or seize your assets. A major disadvantage in declaring bankruptcy is the devastation it wreaks on your credit score. Another issue that arises in bankruptcy is that certain non-exempt assets can be sold and debts from mortgages, student loans, taxes, alimony and child support cannot be discharged. There are many myths in bankruptcy. One myth is that by just stating you want to file bankruptcy you have declared bankruptcy. This is not true. For bankruptcy to be legal you must file the right paperwork, go to credit counseling and pay the fees. It all reality it is best that a bankruptcy attorney is hired to facilitate the process to avoid legal complications from arising with improperly filed paperwork. Another common myth is that you can go to jail for owing money. This is untrue. It is not against the law to owe money no matter how aggressive the debt collector is. One myth is that by just stating you want to file bankruptcy you have declared bankruptcy. This is not true. For bankruptcy to be legal you must file the right paperwork, go to credit counseling and pay the fees. It all reality it is best that a bankruptcy attorney is hired to facilitate the process to avoid legal complications from arising with improperly filed paperwork. Another common myth is that you can go to jail for owing money. This is untrue. It is not against the law to owe money no matter how aggressive the debt collector is. Yes, creditors can sue you or take you to court but they cannot send you to jail. Consider filing for bankruptcy if you are unable to meet your financial obligations. If you have been work for an extended period of time, delinquent on your taxes, nearing foreclosure on your home, having your wages garnished or pending a law suit on delinquent bills it may be time to meet with a bankruptcy attorney to further look into the benefit bankruptcy may have for your financial future. Bohikian Law Group specializes in chapter 7 and chapter 13 bankruptcies in Michigan. Contact us today to find a bankruptcy attorney that will help you in debt relief athttp://www.bohikianlaw.com/ today. When it comes to filing for bankruptcy different thresholds exist for when it is time to call it quits and throw in the towel. For many clients filing for bankruptcy comes after months of calls from creditors threatening to garnish wages or threatening to take you to court for not paying your debts. The media bombards us with nightmarish tales of bankruptcy and the stigma that we assume will follow often deters seeking assistance. With all this going against you how do you truly know when it is time to throw in the towel, meet with a bankruptcy attorney and file for bankruptcy? If you think you are reaching the financial danger zone there are a few questions you can ask yourself to determine if there is a way out or if bankruptcy is the only option. First, look at the payments you are currently making on your outstanding debts. Are you only making the minimum payment? The next thing to address is the issue of creditors and harassing phone calls. Do you find that you can’t make it a day without getting a phone call from someone that is seeking to collect on a debt that you owe? When you begin to think about getting your financial house in order and sort out your finances do you get nervous? Are you plagued with nightmares when you think about creating a budget? Have you taken the time to add up the exact amount that you owe? Is debt consolidation a consideration? Does the amount of money that you have coming in make it feasible to buckle down and get ahead within the next five years? If you can answer yes to any two or more of the questions listed above then it may be time to seek out the advice and counsel of a local bankruptcy attorney. Bankruptcy is a definite option to assist you through uncertain financial times. If you owe more than you can afford to pay while continuing to live a minimal standard of living then it is time to give bankruptcy a fair consideration. You can seek relief from bankruptcy by voluntarily filing or if creditors ask the court order you to file for bankruptcy protection. In either situation you will want to consult with a bankruptcy attorney to determine the next course of action for your current circumstance. There are two different types of bankruptcy laws you can file for protection under: chapter 7 and chapter 13. Meeting with an attorney that specializes in bankruptcy will allow you to proceed in the most appropriate manner. Bohikian Law Group specializes in chapter 7 and chapter 13 bankruptcies in Michigan. Contact us today to find a bankruptcy attorney that will help you in debt relief at http://www.bohikianlaw.com/ today. Why do people end up filing for bankruptcy? This is a question that is often posed to bankruptcy attorneys and the answer people expect to get back is that people just aren’t responsible with their credit cards. This however, more often than not, is not the reason people end up faced with the option of bankruptcy. In fact most people that are facing bankruptcy dread being there. It isn’t a decision that has been made freely. In fact, most people are almost forced into it after spending months on end of harassing calls from creditors and such. One of the most commonly seen explanations for people looking into bankruptcy is because of illness or disability. When a family member becomes ill the entire family has to adjust. This may mean that the family is left without the same budget that they have become accustomed to. An illness can fall on a parent or child contributing to a change in income. Not only does the expense of medical care come into play but the loss of income when time off is needed to provide care. This leaves many families falling behind on bills as payments that were being made were based off of the excepted income to stay the same. This is a common development that bankruptcy attorneys see in family’s seeking debt relief under federal bankruptcy. Another common reason that people find themselves filing for debt replied is unemployment. When individuals are out of work and unable to find a source of income it becomes pretty difficult to pay your bills. Often what we see is that people will go a period of time without a job and begin to fall short on paying their bills. As payments start to add up, even after a person does find employment it is difficult to dig them out of the hole they have found themselves in. For instance, a thirty thousand dollar debt at twenty percent interest is difficult at best to pay off when making only forty five thousand a year. The debt starts to become overwhelming and leads to desperation. About thirty percent of people that are going through bankruptcy have also divorce within the past five years. The ramifications of a divorce aren’t often felt till a few years after the dust has settled on the process as a whole. This is especially true of women who find they are raising children in a single parent home collecting less than needed to live and raise children. They begin to fall back on the old standby of payday loans, credit cards and personal loans. Eventually this catches up to them and they find that there is nowhere else to turn. There are a number of myths that surround individuals finding they are at need to look into bankruptcy debt relief. Don’t fall victim when it comes to categorizing things in a simplistic manner. Most people going through bankruptcy are doing so because they are all out of options and they have nowhere else to turn.